Exercising is the only way to remain fit and healthy. In today’s rat-race world, everybody wants to remain fit, but have no time for exercising. After a whole day at work, when you come back home tired, you have no energy left to exercise. Ultimately, all you look for is a shortcut to exercise without leaving your work and wasting time in going to the gym for workout. All you need is a range of workout gadgets that just give you results without you putting in much efforts. Here are some weird exercising gadgets that can give you desired results without you working hard. Those days are gone when you have to exercise hard to burn your calories. All you need is to sit on the chair and after that; the machine does all the exercising part. The Hula chair or the Hawaii chair is completely an automatic exercising machine, which works on reducing extra fats around the waist and thigh without putting much effort. As the chair performs the exercise with rotating action, it causes damage to the spine and back, which might cause a long-term problem. Working long-long hours on computer desk doing your work sitting in the same posture can really affect your body and you do not have time to exercise to solve this problem. 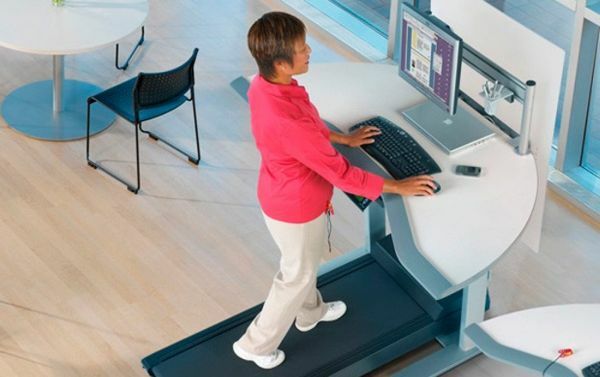 To overcome this problem, Steelcase has come up with product called Walkstation. A treadmill is adjusted beneath the desk. 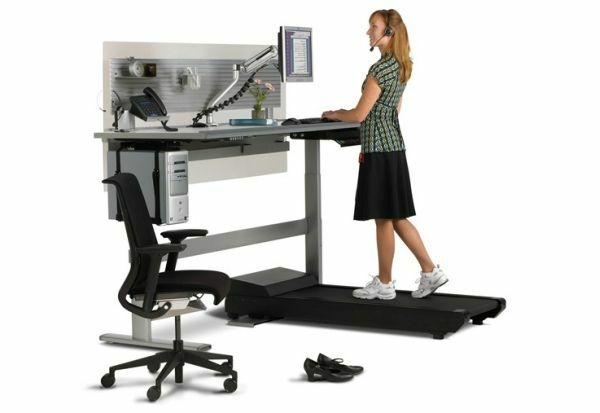 The purpose of this design is to give you facility of walking while working on computer. The treadmill is specially designed to work at low speeds and easy to operate. The price of this device is high and is comparatively large in size. Everybody desire for a tone body that gives them confidence and good feeling about their body. 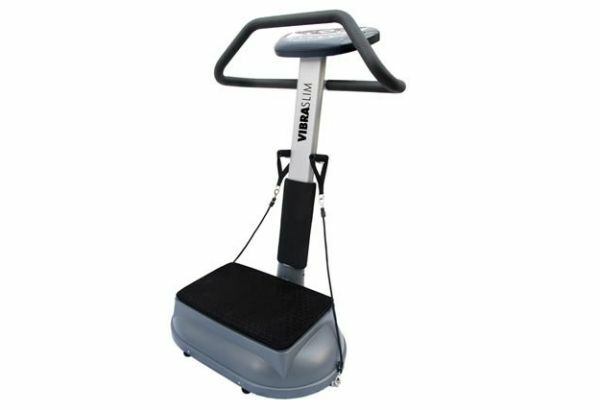 This gadget builds your muscles and fulfills your desire of toned body without doing hard and long workout that also at your home. Vibration is the feature through, which it builds your bone mass and results in effective weight loss. Not only this, it also fights osteoporosis, keeping you healthy and younger. The gadget leaves some side effects such as dizziness and nausea. 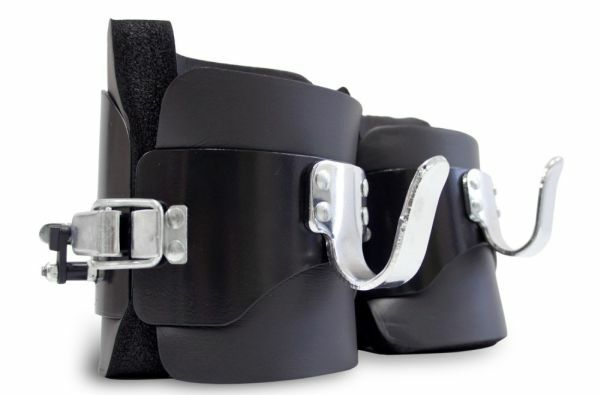 Gravity Boots designed to strengthen the spine and vertical discs by allowing the body to hang upside down against force of gravity. It provides with a therapy for lengthening the spine by relieving pressure and compression around the discs of the spine. 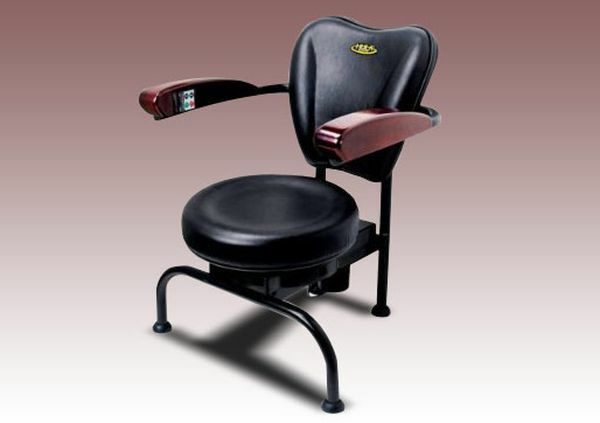 This eliminates the problem of back pain. It also strengthens the vertical discs by making them soak up essential fluids and nutrients. The gadget becomes risky to work with if you are suffering from serious medical conditions like high blood pressure and detached retina. The beauty of the face lies in the structure you have, but with lots of extra fats around your can really spoil affect your beauty. Face trainer gives your face that toned and healthier appearance. 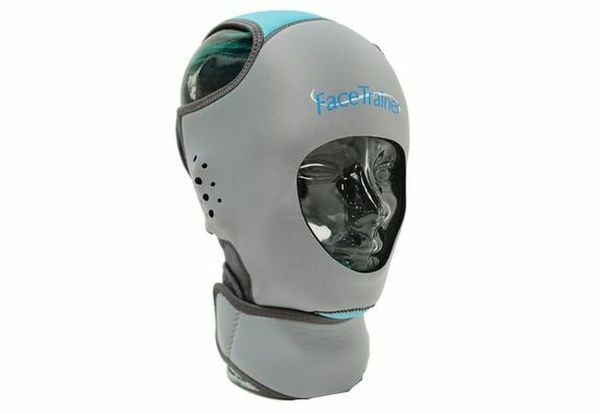 The Face trainer fits like a mask against the skin and all you need is to make facial moments to make it work. Everybody looks out for shortcuts of exercising and escaping long-long hours of workout in gym. Nobody wants a body that makes them ugly or a reason to look down upon them just because of their body structures. Here are some workout gadgets that give you that toned and healthy body you want, at comparatively low prices. Wireless charging becomes a reality with Qimini!